This block is constructed like a courthouse step (or a log cabin) block, but it’s the placement of the printed fabrics in two opposing corners that creates this fun design when the blocks are put together. I created 12 1/2″ blocks, but you really could easily go larger or smaller, depending on the look you’re after! 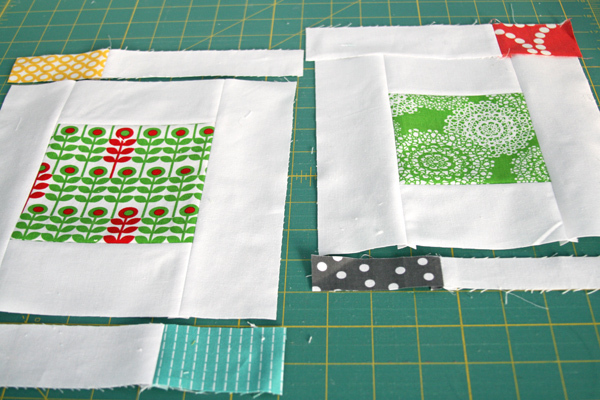 Press, trim off the excess white fabric and add strips of white to the remaining two sides. 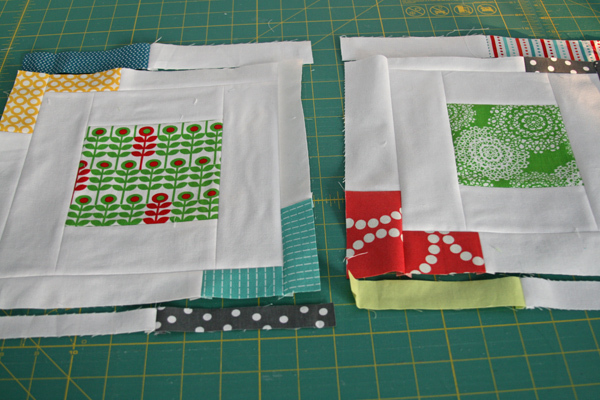 Press and then square up your block so it measures somewhere in the neighborhood of 8″ to 9 1/2″ square. Again, this doesn’t need to be precise. I think that the variations in the blocks add extra interest! Next you’ll start adding the strips that will give you your fun colored corners. 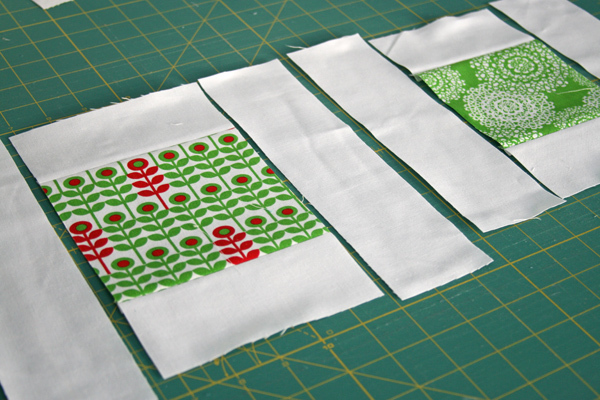 I cut strips of the printed fabrics that were anywhere from 3/4″ – 2″ wide and then sewed a white strip of the matching width to each end of the printed strips (no photos of this step, but you can see what it looks like in the photo below). I liked to have all my strips ready to go with white sewn to the ends, but alternatively you could wait until you’re ready to add that strip and then sew the printed fabric to the background fabric. 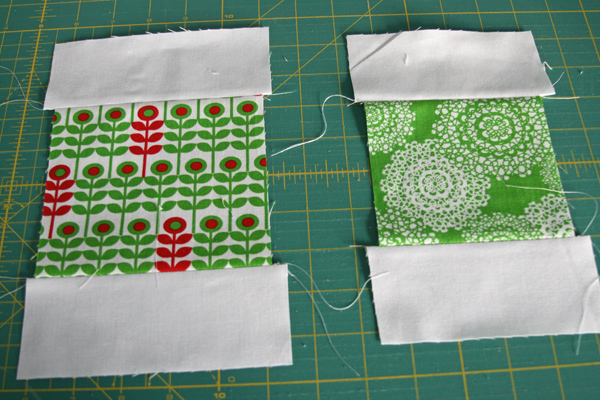 Press, trim off any excess, and then repeat for the other two sides of the block. Most often I used the same printed fabric to make up the corner, but it’s also fun to switch it up a bit, pairing it with a similar color, as in the block above, or even with a totally different print. Repeat this process for the next ring. Your printed section should be a bit longer than on your first rung. 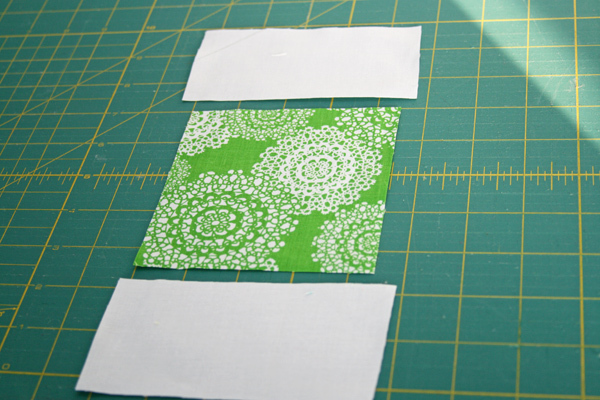 Continue adding rings until your block measures at least 12 1/2″. (I aimed for 2 to 3 printed fabrics in each corner, though occasionally I needed 4 printed fabrics to get my block up to size). Trim each block to 12 1/2″ square. And then the fun part! Put all your blocks together and enjoy the fun design that emerges when those corners converge! And… if you do make any, be sure to add them to the FITF Flickr group so I can take a peek! 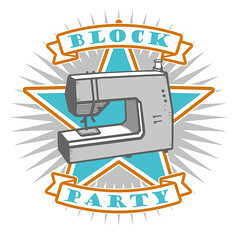 This entry was posted in Quilt Blocks, Tutorials and tagged converging corners, courthouse steps, improv, log cabin, modern, quilt, quilt block, tutorial, wonky. Bookmark the permalink. LOVE this! Thanks so much for the tutorial! Wow! That is an amazing block and quilt! Thanks! As always – love, Love, LOVE it!! Thanks for the tutorial. Tudo está bem quando acaba bem….E quando acaba bem e lindo???OBRIGADO.!!!!!! I love it! What a great design. Thanks for sharing. I LOVE THIS!! I can’t wait to try one of my own. What a wonderful way to make some room in my scrap drawers. Thanks for the brilliant idea. Mil gracias!!! As always your quilts are fantastic. Thanks for taking the time to make this tutorial. Thanks so much for this tutorial. I love the design and couldn’t figure out how you did it. I meant always LOVE seeing pictures of him….lol. Great tutorial, love the design of the quilt! Oh wow! This looks like so much fun! I’m going to have to give this one some serious thought….and pick just the right fabrics! Geweldig! Ik vind het prachtig. Thanks so much for this tutorial. It´s fantastic. 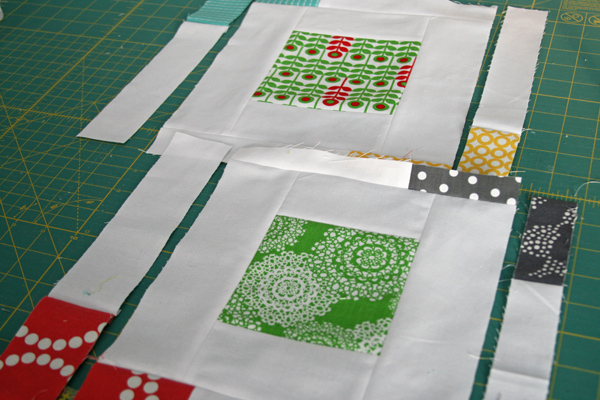 I´ll try to do it, although I´m starting in the patchwork world. Love this spin on log-cabin blocks! It gives them a completely different aesthetic – so modern! What an interesting block? Looks so much more interesting when put together! Thanks for this. Looks so fun/modern. Looking forward to giving this a try! This is just so interesting to look at and try to figure out how it all goes together. I think I may need to try one. Thank you for the tutorial! How wonderful. Thanks for the tutorial. It sounds so easy LOL. Thanks for sharing your design. It’s always amazing how a complacated quilt can be broken down to make it easy to understand and easy to make. Great tut, great quilt. This is awesome, Ashley. Thank you! Ashley, thank you once again for your generosity in sharing this tutorial for your latest design. I absolutely love it! Hope you all have a wonderful weekend! This quilt is absolutely gorgeous. I just HAVE to try this someday. Thank you! I really like this quilt and have it on my bucket list. 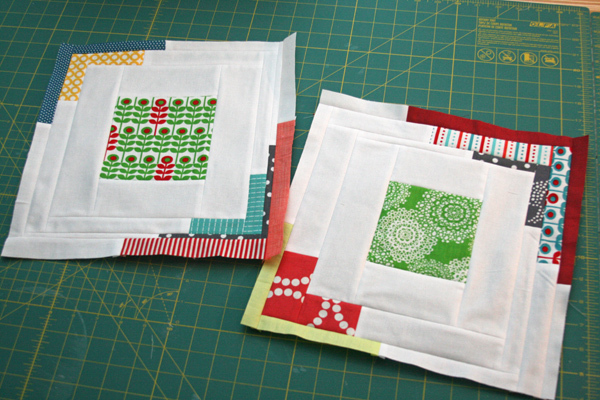 I just lectured myself too, about no new quilts until I finish those that I have already started. I better get busy. Love the quilt, such a simple change , and it makes a big difference. Thanks so much for sharing this tutorial. This is such a fun quilt! What a great quilt! Thank you for always being so generous!! What a great tutorial! Now that I can see how it is put together, it looks much easier, and so much fun! What a great scrap buster too! I’ve never liked log cabin blocks, but there is something modern and funky in this block. I’m always amazed at what you come up with. Thank you for taking the time to do the tutorial!! I love this quilt”. The tutorial is very helpful. I do have a question regarding the solid, about how much did you plan for? Also, what did you do for the back. Hey such a awesome quilt , i think printed fabric is very useful like this. Thanks for sharing tutorial for this…..
LOVE IT .. am always looking for some fun and simple thing to do with my ‘remainders’ (DGS in 4th grade) and THIS fits my hunt perfectly. One of the gals on HGTV Message Board posted this info for all to see – and look you up – so, many thanks to that thoughtful quilter buddy!!! I’d have never seen it without her mention. Parece bem fácil de fazer, vou tentar! You are such an inspiration with your work. Simply stunning quilt. 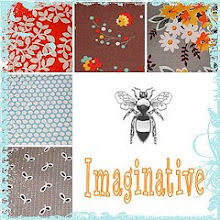 This fabric line is so yummy. Thank you. wow – it is impossible to imagine, just seeing the blocks, how fabulous this quilt is assembled – very cool. what an inspiring tutorial! Could you recommend a solid for this quilt? once you suggested using a flat twin sheet from ikea. Will this work? I knew I was saving my fabric scraps for a reason, and now I know why. 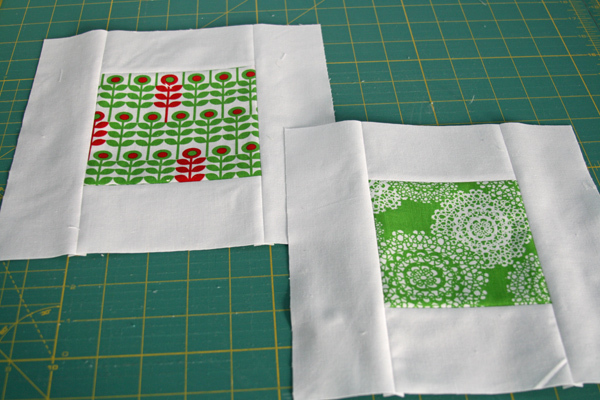 I love the block and quilt! Thanks for sharing the tutorial. o great tutorial! Love it. I’m wondering how it would look with solids in the corners and prints in the centers. Any guessimate on how much background fabric is needed to make this quilt. I am going to try it. BTW, your quilts are amazing!!! I saw a quilt that must have followed your tutorial at the national quilt championchips yesterday. Reminded me that I still need to try this one. I really enjoyed making these blocks!! Thanks Ashley! This quilt totally rocks! And you are amazingly generous for sharing the “how to”. All of your quilts are fabulous…but this pattern seems to be what I’ve been looking for to make a graduation quilt for my BFF’s daughter (yes, of course, I’m already late on it!). Thank you again for beautiful art and generous instructions. This is an awesome Block I would love to do a BOM with this one !!!!!! I came over from Clover & Violet… love your tutorial! Thank you very much for sharing. 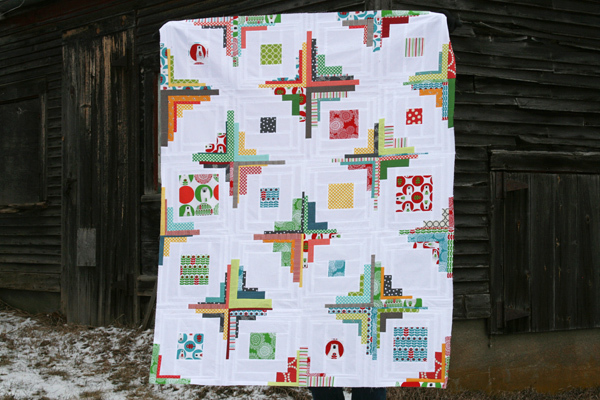 This block is great and the quilt made with the blocks sparkles. Thank you for the tutorial. I love this and have had the tute bookmarked for quite some time. I’m planning to use it for a wedding gift for my nephew and his new wife. They both scuba dive, she’s a planetary scientist (just think Mars, etc. ), he remodels homes, and they got married in Hawaii. I think I can find some “theme” fabrics that will work for that. LOL This is going to be so much fun to make. Thanks so much for the wonderful instructions. Love this tutorial. Is there a way to reach you for permission to use this tutorial for a flickr bee I’m in? Fantastic. Thanks for the tutorial. I just love your tutorials. They’re so beautiful and “stress free”. Thank you for sharing them. You’re the best! I love this block. Thanks so much for your generosity. Hi, I LOVE this quilt !!! what was the finished size, and for what size it was, any idea of how much background fabric you needed ? I love this quilt. Can you tell me how big your quilt is and how much background fabric would be needed? Thank you for sharing this great quilt!! I am not a big log cabin fan but this is going to change that. Can’t wait to get started.